A “Ryedale Skills Summit” has united local business leaders with Ryedale schools, training providers and school children as around 70 people came together to agree ways of helping Ryedale school leavers into jobs and helping Ryedale businesses get the employees they need. Ryedale District Council organised the event after some local companies expressed concern about being able to recruit in the area and whether the skills and training of the local workforce was the best match with the needs of employers. Statistics also show that Ryedale has a higher number of 18-24 year olds claiming Job Seekers Allowance than most other parts of York and North Yorkshire. 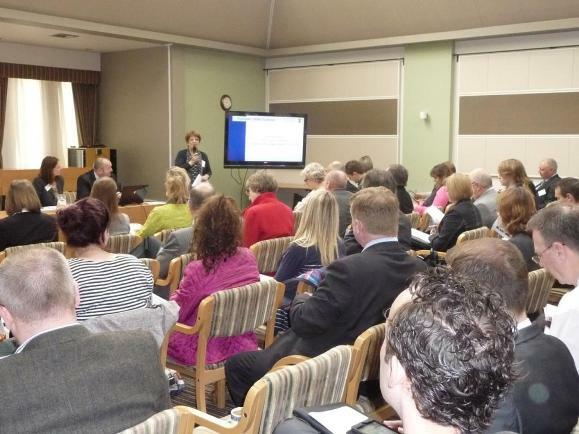 Attendees heard presentations by Isobel Mills, Director of BIS Local (Department of Business, Information and Skills) for Yorkshire and Humber and the North East, and by local business and training leaders before working together to agree a programme of actions. Central to these were a new approach, to be led by Ryedale Council, of brokering between schools and training providers and those local companies who can offer apprenticeships, work experience and business input to learning. This will help local schools to offer a range of work experience opportunities and have input to their lessons from local business people, whilst employers can access to the most suitable candidates for apprenticeships and placements. Other key concerns to be addresses are the provision of careers advice within schools and the awareness and understanding about apprenticeships. “An incredibly positive Skills Summit has given us some clear actions that will help better connect employers and schools to benefit Ryedale’s future workforce and our local companies. “It is clear that there is an important role for Ryedale Council to play in co-ordinating between businesses and schools.